The Optimus G from Sprint is rooted the same way as the Korean (not the unlocked or AT&T version) version is. Google translate, persistence, and the belief that I could talk Phil into paying for this one if I broke it have paid off. You'll need the a Windows computer (tested on 7 ultimate 64-bit), a USB cable, the LG Android driver, and the attached file. The file comes from the Vietnamese site Di, and is based on the ICS and Jelly Bean adb restore exploit from Bin4ry. I have no idea if the original exploit from Bin4ry was modified, so I'm sticking with the Vietnamese version. Anyhoo, these folks deserve the credit and thanks, I'm just the ***** who tried an exploit written for a different phone and in a different language to see if it would work. I've attached it because it takes forever plus 3 more hours to download it from the Vietnamese site. Here's what to do with it all. Download and unRar the attached file to your desktop. On your phone, make sure USB debugging and allow unknown sources is checked. Plug the phone into your computer, and make sure that Windows see the device's adb connection correctly. Open the folder you extracted in step 2, and right click on the RootOptimusG.bat file. Choose Run as Administrator. You'll see this first -- "Nhan "y" neu ban muon root, nhan "n" de thoat:" type the letter y, then enter. Next you'll see some English and some Vietnamese text. When you see "Press any key to continue..." press any key. You'll see it say "Nhan chon "Restore my data" tren man hinh dien thoai!" then wait for input. Look at your phone, tap the button that says "Restore my data". The phone will reboot twice, be rooted, and ready for fun. To exit the DOS routine just press another key. cole2kb, ImGreen, robotobob1982 and 9 others like this. This was that last little push I needed to make my decision. I'm getting it! Agreed. I think this really sways me towards the Optimus G as well. Especially since Sprint probably won't be getting the new Nexus or at least not for awhile. Wow. If this holds true, then LG Optimus G might be for me as well. Never tried an LG phone before, so am a little nervous on that front. Still have to handle the Note 2 later this week once they get them in stores to rule that one out. Off topic.. those white notification icons with blue battery & network indicator looks ugly! This is great to see...Thanks a ton Jerry! My question is: What is the difference between being rooted and having an unlocked bootloader? If the bootloader never gets unlocked, could we never see custom roms/kernels for the OG? Thanks a million! I just got mine yesterday and it worked like a charm!!!!! Video guide. Jump to 10:56. After the root my device began running very slowly, very unresponsive. Plus rooted apps are telling me I don't have root privlages. Thoughts? coming from "treocentral" first post in Android. I read the review, was wondering if rooted can the camera be "better" (ie fix) ? or is this just due to cheap 13 MP camera? Just got this phone minutes ago and I rooted but Sprint is asking for an update (which is sure to kill root). How can stop Sprint from the annoying update. Attempted root again and this time it went flawless. For some reason running it in admin mode caused error, when I ran it with out run as admin it worked and now device isn't sluggish and I can use Titanium backup. Thanks a bunch! Plan on rooting tonight, my last phone was rooted for the 2 1/2 years that I owned it (Evo4g) I forgot just how many apps I was using that required root. Does anyone know when the next update comes out (if it ever does) if we will need to unroot to receive it? If so, what is the process of unrooting for this device? Just got mine a few hours ago... I can also confirm this works. When I ran as "administrator" I got a "unable to find find path" error (or something like that), so I also had to run it NOT as admin... I too am getting the "update" from Sprint, as soon as it is known will somebody post if this ruins the root, or how to get rid of the update nag? Run the update and if it kicks out root then just re-run the root. I got mine last week at a special event and updated it on the 11th, and rooted it last night sucessfully. Currently rooted on build ZV8.IMM76L. The update in my previous post did end up updating me to ZV8.IMM76L. 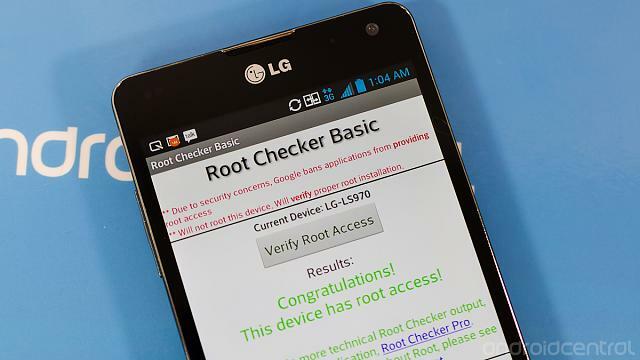 It did unroot me, but I just rooted the same way again... root still worked. I did get caught in a boot loop after, but a manual restart (holding down power button) got it working again! If you go to post #53 there's an English version of the batch file that makes this slightly easier to do, and the instructions in the same post work flawlessly. I can confirm this works on the AT&T version and other people in the thread have confirmed that it works on other versions too. Just search the thread for your carrier/model number to see if anybody has confirmed it, but it seems to work for every variant of Optimus G so far. How can you tell if the drivers get installed properly? I installed them to my desktop and then connected my phone but nothing happens besides it scanning for media? When you plug in your phone to your computer it should ask what mode to choose. Make sure you select MTP mode, and after a minute or two it should show up on your computer like a USB thumb drive that you can drag and drop files to. If that works, the drivers are installed properly. I'm 99% sure the Sprint and AT&T versions both use the same USB driver for Windows, but they have separate pages for the Sprint LS970 and the AT&T E970 if you want to be 100% sure you download the right one for your phone. I updated to the new driver, first one I downloaded was 3.7.2 and now Ive got 3.8.1 which were all installed correctly but it still only recognizes the phone as a media player and I can open it up to see a bunch of folders but otherwise nothing happens. if I try the root program it just says cannot find the path specified. How to root the Optimus S with a Mac?